The Great 48 » A week in review! We've stumbled, fallen, and embarrassed ourselves, but it was worth it. 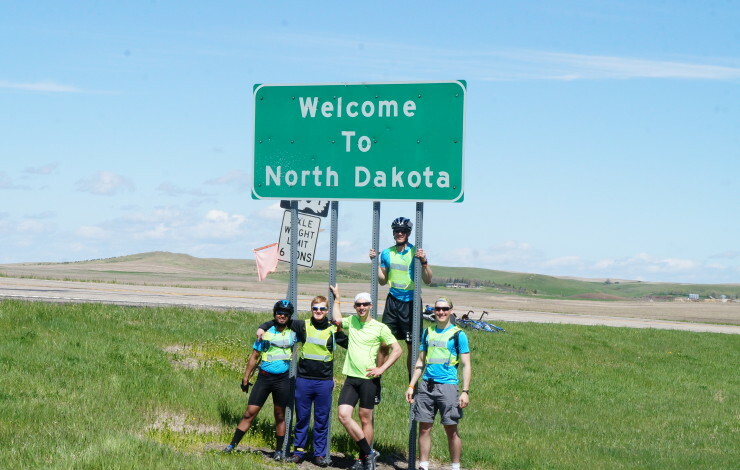 We've made it to our second state now - which means we only have 46 more to go! Now isn't that exciting? 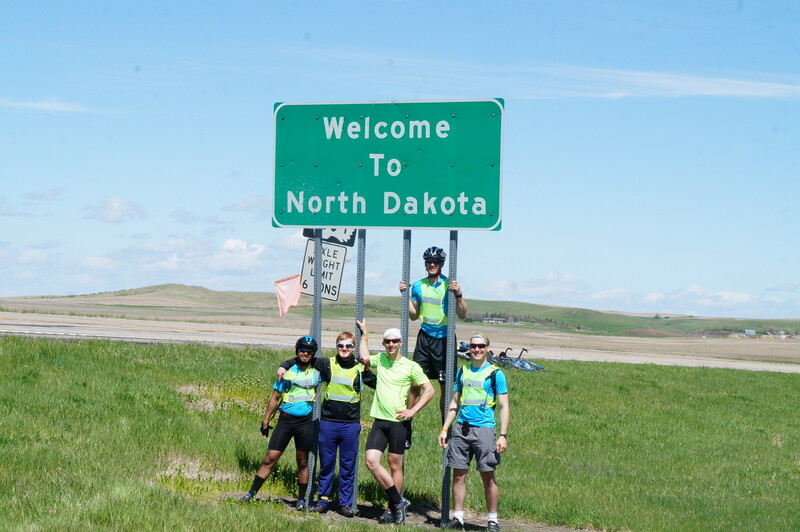 We definitely were excited until we hit 30 mph winds heading towards Bismarck, ND. The 126 mile ride to Bismarck from Selby proved quite challenging and we had to camp out a couple nights on our way there. 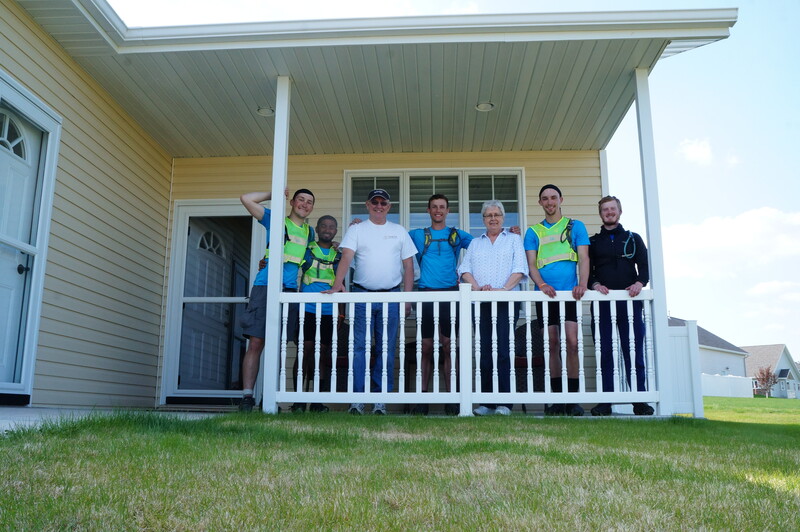 But we were welcomed warmly in Bismarck by a friendly couple, the Gerhardts, who have also done quite a bit of biking themselves. We found them through warmshowers.org - a website that lists people around the US that are willing to host cyclists for a night. It is almost a similar platform to couch surfing but catered towards a more niche market. Ron is an entrepreneur, cross-country cyclist, professional bridge player and US geography expert. Besides being a cross-country biker herself, Joyce retired a couple years ago - she was a social worker for a foster home in town. 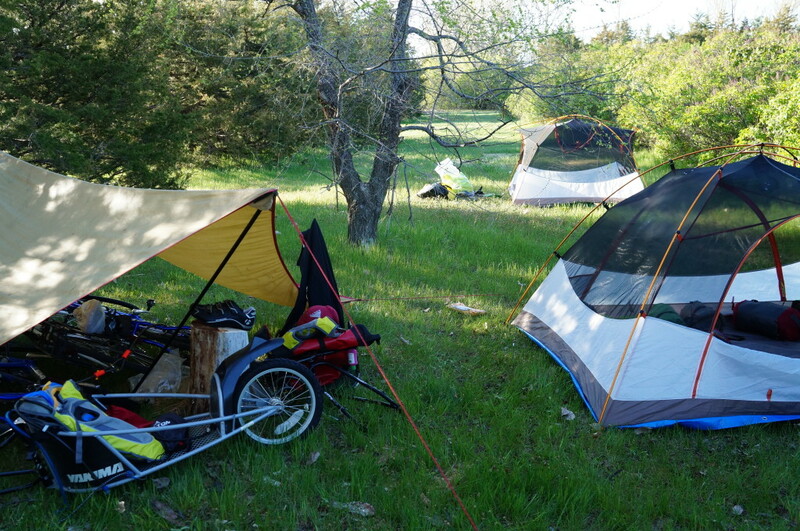 But the best part about this experience was the willingness of people, complete strangers, to help us out. Whether it be knocking on a door for water, pulling over on the side of the road to see if we needed help or simply changing lanes to ensure safety - the generosity has been genuine. And of course there's the part where we get to meet many cool people with amazing stories and backgrounds. 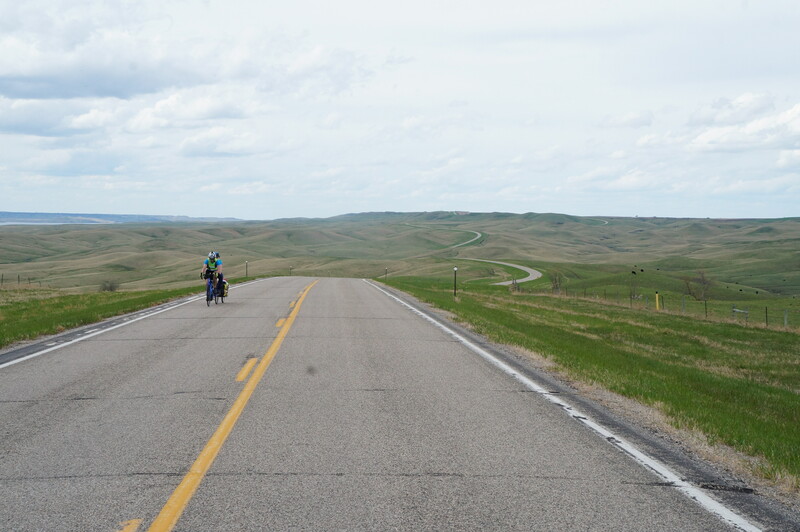 Tomorrow we head towards Richardton, ND where we are hoping to stay at a monastery that has a history of welcoming bikers and travelers in the past. Meanwhile, enjoy some of these pictures we've taken on the hike up to Bismarck. Panoramic view of the Missouri River. I have known Tom for 20 years – you could not have picked a better orphanage to support! You better hurry to beat the cold weather in Chicago at the end of your trip.